Luxury vinyl tile is designed to meet day to day demands, look great and last a very, very long time. It helps to know the difference between luxury vinyl and a sheet vinyl when you are making your purchase. Luxury Vinyl (often called LVT) is actually a true vinyl product. It can be a convincing stand in for stone, wood, brick or even ceramic. It looks and feels like the real thing and is sometimes installed with with grout to make for an even more convincing stone visual. LVT can be cheaper than tile and can add a great deal of value to your home. LVT wood finish planks can be made to match color species and grain of natural woods. It can be scraped or even embossed for an even greater customized look. . 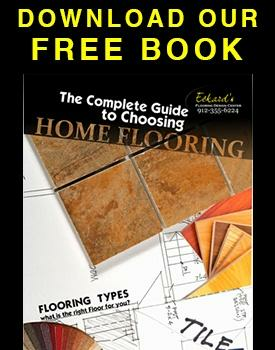 Sheets of vinyl often come with a cushion that is placed on the back of the flooring. This cushion is quite often glued right on to the sub-floor to give the best result. Sheet vinyl is very high in performance and the overall tone of it is stunning to say the least. The best thing about sheet vinyl is that it is high performance and this means that it won’t wear out over time. This also means that it can keep the same finish and that it can even be placed in areas that have a lot of moisture. This alone gives you an even bigger benefit and you would be surprised at how easy it is to install. Luxury vinyl tile, or LVT really can be the perfect fit for your home. It can be compared in style to the sheet vinyl but at the end of the day, the end result you get is far more superior and you would be shocked to see the result you could get when you have this installed in your own home. You could get it installed in your kitchen, your bathroom or anywhere else you want and this is the best way for you to reap the benefits without having to worry about how it is going to look at the end. Eckard's is proud to have one of the best selections of luxury vinyl tile in Savannah and premier selections in our Bethany, Carrolton, St. Joseph, and Stanberry Flooring Stores. Call your local Eckard's store for more information.